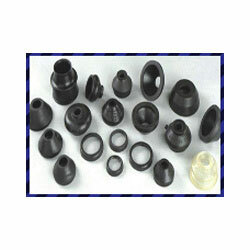 The company is a well-known Rubber Dust Covers Manufacturer, Exporter, and Supplier in India. The Rubber Dust Covers, that we provide, are available in different materials like plastic, matt, and fancy. Fabricated by using the high-grade rubber, our Rubber Dust Covers can be availed at affordable prices.